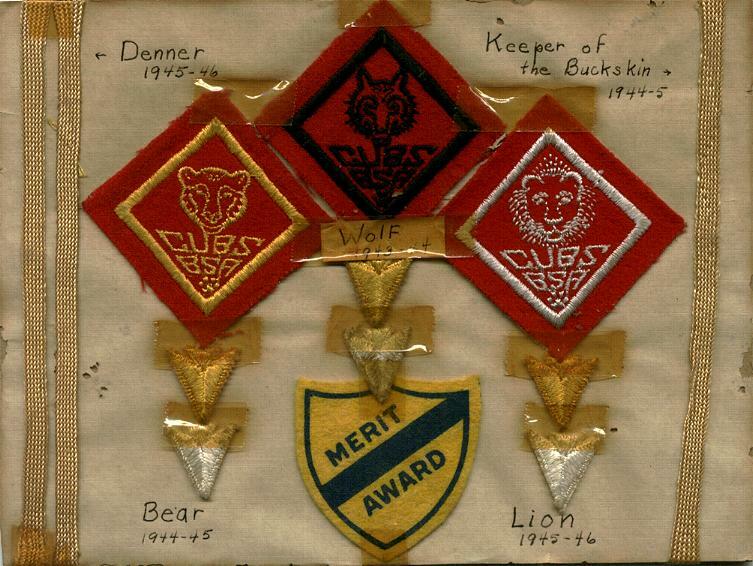 Badges I earned while in Cub Scouts. 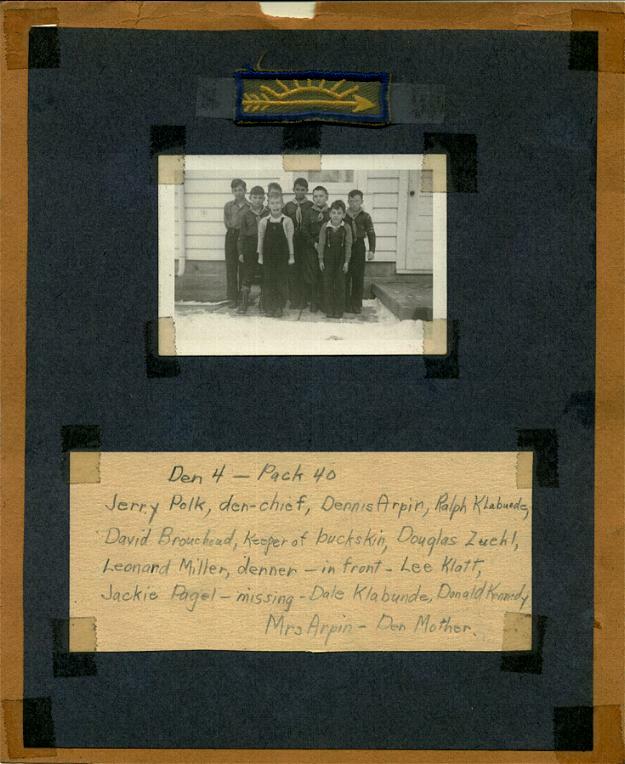 Keeper of the Buckskin was the scout who kept records. 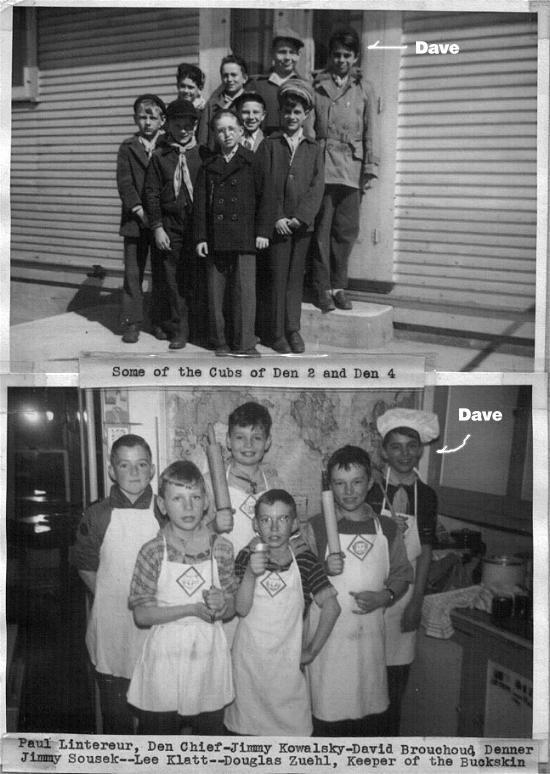 Denner was the senior scout in the pack. 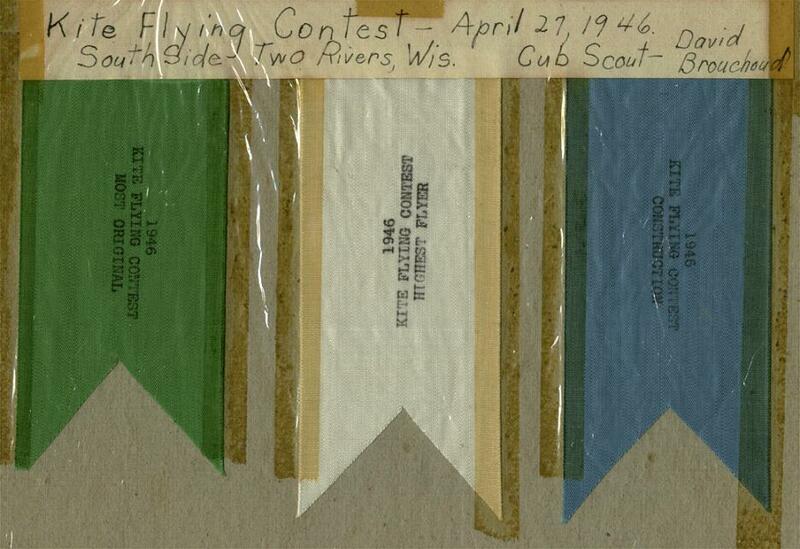 These were the only bages available to Cub Scouts in the mid 40s. The gold and silver arrows under each patch were merit awards. 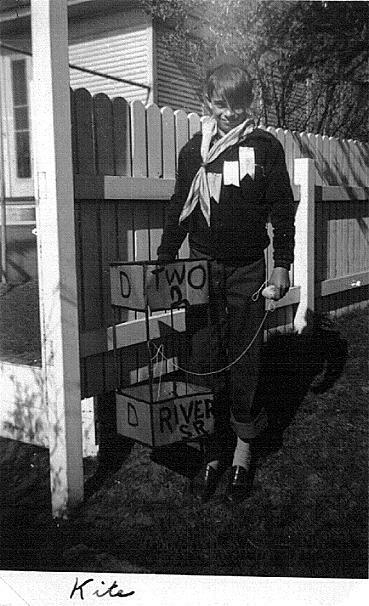 A Cub Scout could only earn one of each. An enlargement of the picure that follows. 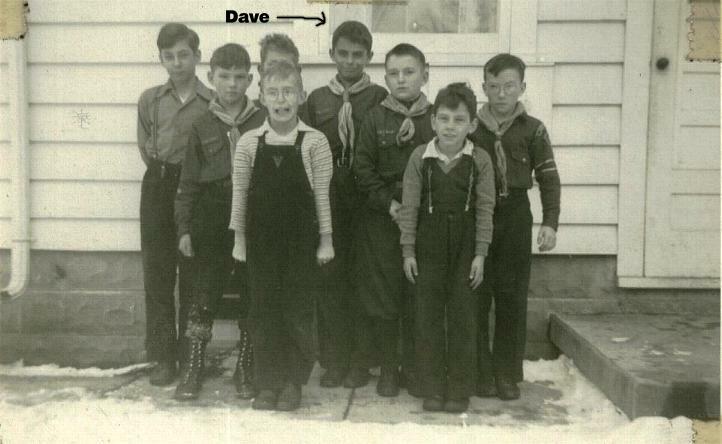 This picture displays my Webelos badge. 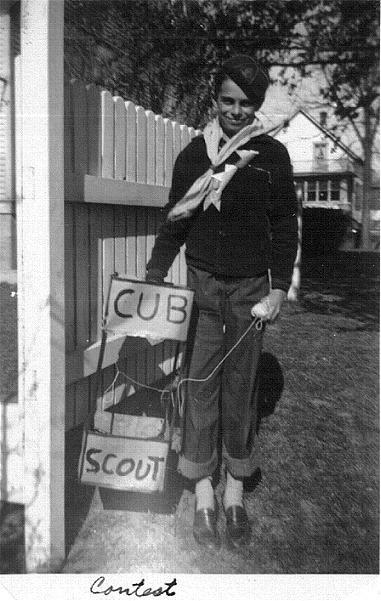 The last Cub Scout Badge I received. An enlargement of my Webelos badge. I nearly did not compete in the kite contest. 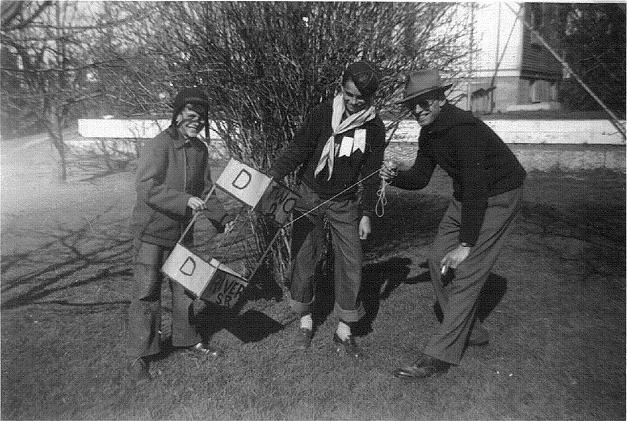 My dad & I built the first kite and it would not fly even in a high wind. Dad finally figured out that the kite was too heavy. Why? I painted the kite paper which added extra weight. We were able to build a second kite in time for the contest. This time with only identification paint for the city of Two Rivers. I was almost 12 years old when my mother took these pictures. 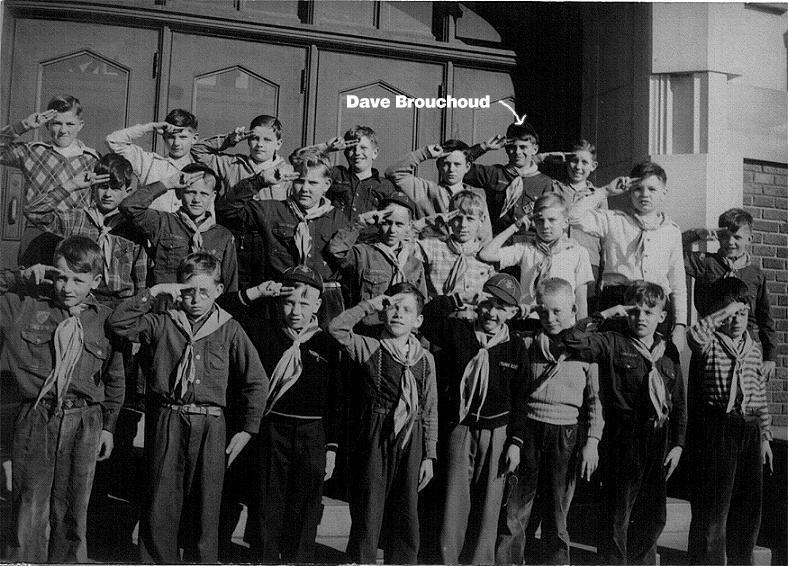 Picture thought to have been taken in the early fall of 1944. The flag was on loan to my Dad from a friend who had returned from the war in Europe. 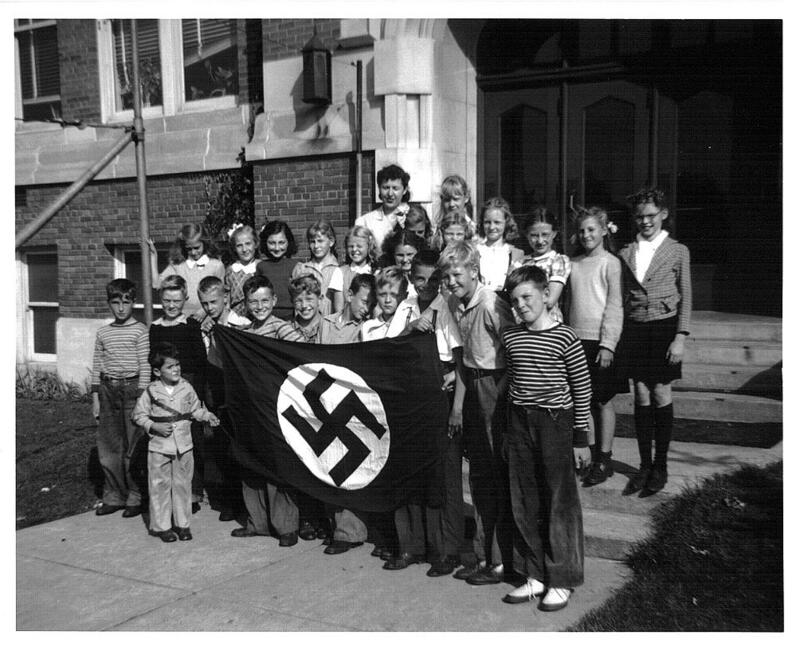 Dad allowed us to use the flag so my 4th grade class could pose for this picture. I am in the front row. 3rd from the right. My face is partially shaded by a class mate. The little guy looking at the flag is my younger brother. 3 years old.